I just finished Banana Pancake Trail 2016. 16 days of independent travel on Southeast Asia’s backpacker trail. It was a memorable trip. I was able to travel with my family, see old friends, and meet people along the road. I felt happy and fulfilled after the trip. I am an experientialist which means I favor experiences over material things. The first part was in Bangkok Thailand. 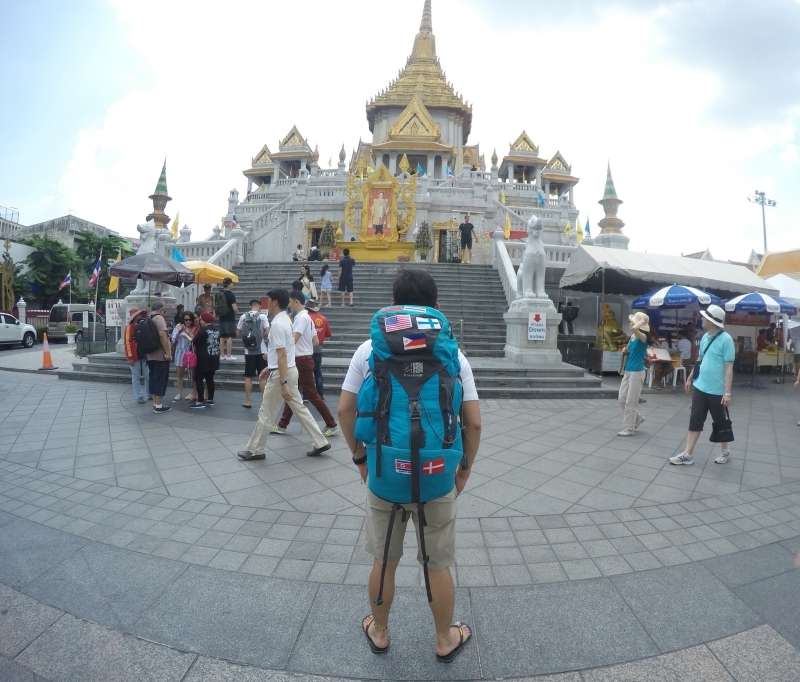 Together with my parents and brother, we explored the Grand Palace/Wat Phra Kaew. It was actually my first time to enter the Grand Palace during day time, even though I’ve lived in Bangkok for 2 years. It’s an amazing place. You will witness Buddhism worship and experience the residence of the kings of Thailand back in the day. Never miss this when you’re in Bangkok. We also visited Mission Hospital, Siam Paragon, shopped a bit at MBK, and tried Thai street food such as rice noodles, sticky rice, and pad thai. The 2nd part was Cambodia. Still with my family, we took a slow train from Bangkok to the border town between Thailand and Cambodia; Aranyaprathet. Then we took a taxi from Poipet to Siem Reap. It was an experience. We stayed in a nice hotel in Siem reap, called Parent Heritage Angkor Villa. Nice spacious rooms, buffet breakfast, and a pool (you really need this to relax after visiting temples on a hot and humid day in Southeast Asia) for only USD 30 per night. I highly recommend this hotel. Siem Reap is one of my favorite cities in the world. The vibe here is just amazing. People from all over the world gathering together, plus the laid-back, friendly atmosphere of Cambodia-I’ll never get tired of this city. We spent 3 days in this city. And of course, the highlight of our trip, Angkor Wat. It is so majestic, so amazing, so beautiful. It has been my dream to take my parents to this amazing infrastructure ever since I’ve first visited it in 2011. Now, that dream turned into reality. Praise the Lord. 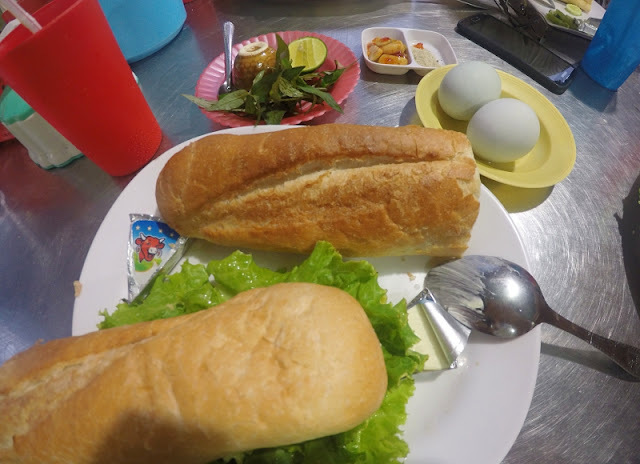 Khmer Baguette. The best baguette, ever. And of course, balut (pong tia koun). Then we flew from Siem Reap to Bangkok. My family went home to the Philippines the next day while I went to Nonthaburi, Thailand, a province near Bangkok to visit a private bilingual school where I have taught for 2 years. It has been my first home when I was still new in Thailand. It was nostalgic. It was really good to see old friends and the classrooms, offices, and apartments where I stayed. After spending a night at the school’s apartment, I went back to Bangkok to visit an international school where I worked for 2 years as a Health Teacher. This school is really dear to my heart as they really take good care of their employees. I met old friends, former colleagues, and students. From Bangkok, together with a friend, we flew to Phuket, Thailand. It has been my dream and also in my bucket list to spent a night at Maya Bay, the filming location of the movie The Beach starring Leonardo DiCaprio. We spent one night at a lovely bungalow in Phuket called Phuket Sansuko Ville Bungalows. It was amazing. I highly recommend it. For only 990 THB, you can have your own bungalow and a swimming pool. We took a ferry to Koh Phi Phi don then did the tour. The Maya Bay Sleep Aboard, where you get to sleep on the boat at Maya Bay and experience the uninhabited island all to yourselves. Apart from the usual sleepover, the tour also offers kayaking, snorkelling, swimming with planktons, and a little tour around the island. Unfortunately, because of strong winds, it was to dangerous to sleep at Maya Bay, so the sleep aboard was cancelled. 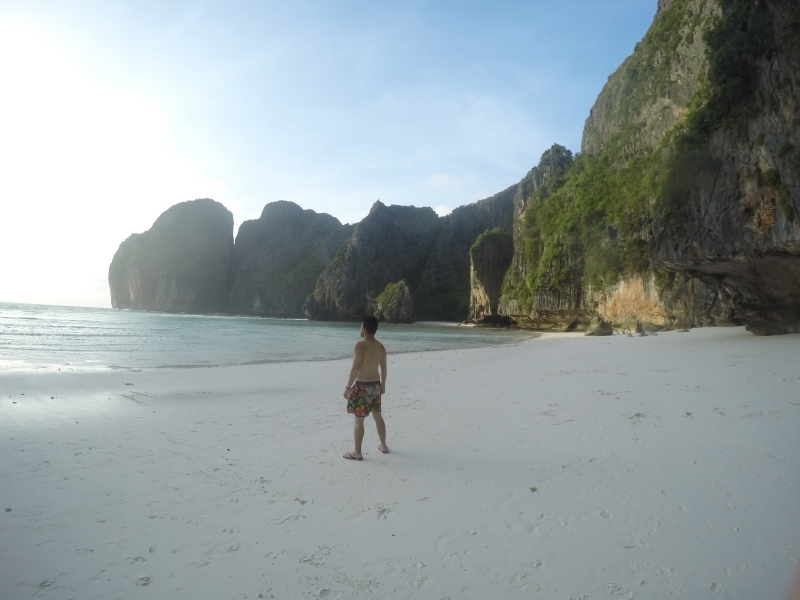 Nevertheless, we still experienced Maya Bay without the crowd. We were there in the afternoon until sunset when day-trippers went back to Phi Phi don already. So no crowd, no boats, it was just us and the sun setting. The next day, we went back to Phuket. The wind was so strong, waves were huge. It was my roughest boat ride ever. You can hardly stand because of the boat’s strong rocking. I was like surfing. It was really bad that I thought the boat is going to capsize. That was a two-hour scare. Finally after 2 hours, we safely reached Phuket. Thank you, Lord. We went straight to Naiyang Beach, a laid-back beach in Phuket near the airport. It’s nice to relax on the beach watching different water sports, such as surfing and kite surfing. I also swam in the afternoon, enjoying the huge waves. One of the things I like about Southeast Asia is the price of goods and services. They're not expensive. Massages for 50,000 LAK, fruit shake for 1 USD, a meal for 35 THB, a haircut for 40 PHP. So during, my time here, I had countless fruits shakes, and massages. It was so nice. I flew back to Bangkok to spent time with my classmates in college who are based in Thailand. Klement is our class name. They were like my family when I was in Thailand. We spent time together, reminisced memories when we were still together in the Land of Smiles. The last leg of my trip was Laos. This sleepy, untainted country has been on my bucket list; tubing in Vang Vieng, in particular. Tubing in Vang Vieng has been a rite of passage for backpackers on the Banana Pancake Trail. I really wanted to do this even before when I was still based in Thailand. Unfortunately, I wasn’t able to do it before so now, that’s one of the main reasons why I’m going back to Southeast Asia for this trip. I took the overnight train from Bangkok to the border town, Nongkhai. My ticket was first class, lower berth. It was so comfortable. I had a good nights rest, then finally, Laos the next day. I took a bus from Vientiane to Vang Vieng for 240 baht. 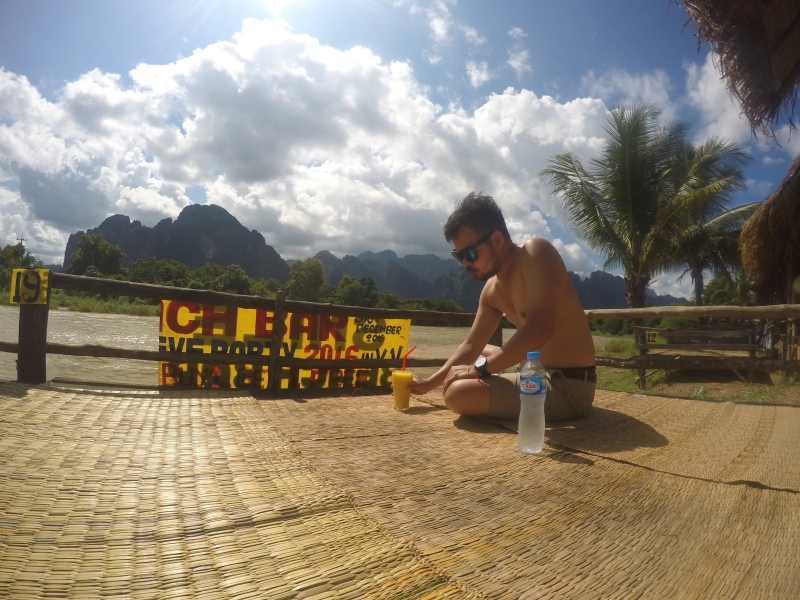 Then at around 2pm, I finally arrived in Vang Vieng. I was caught off guard. I didn’t expect that town to be that beautiful. Well, of course I’ve seen photos and all that, but it’s really different when you are there personally. Now, I have another favorite place in the world. The surrounding limestone karst is just a beauty to behold. Cheap accommodations, lots of activities to choose from, a backpacker community, friendly locals, and just a laid-back Laotian feel-Vang Vieng is the place to be. I stayed in a guesthouse beautifully situated by the river. 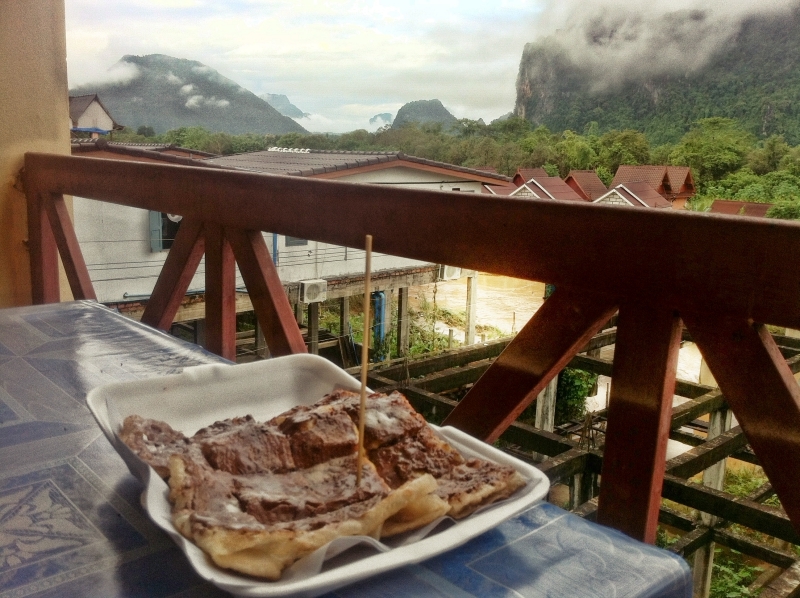 I had a room with a view; room 202 at Vang Vieng Orchid Guesthouse. Choose this room when you stay at this guesthouse. It’s 100,000 LAK per night. Enjoyed at my balcony. Life is not that bad. Of course, I immediately did tubing down the river. It was monsoon season so the water was not that very nice. But nevertheless, I still had a wonderful time witnessing the surrounding karst while tubing. I stayed there for 3 days. 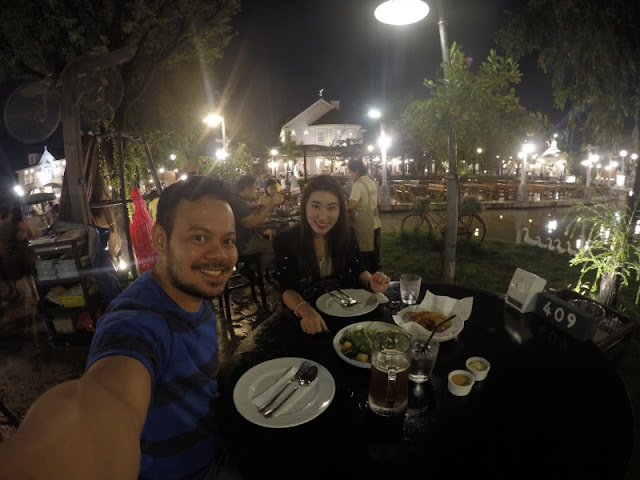 I rented a motorbike and explored the area, swam in the blue lagoon, paramotored over the beautiful town, met fellow backpackers from Canada, UK, Portugal, Japan, and South Korea, and just relaxed at a riverside bar and TV bars eating Lao food and watching FRIENDS. My last day was spent in the capital Vientiane, where I witnessed by far, the best sunset during my trip; sunset over the Mekong river. 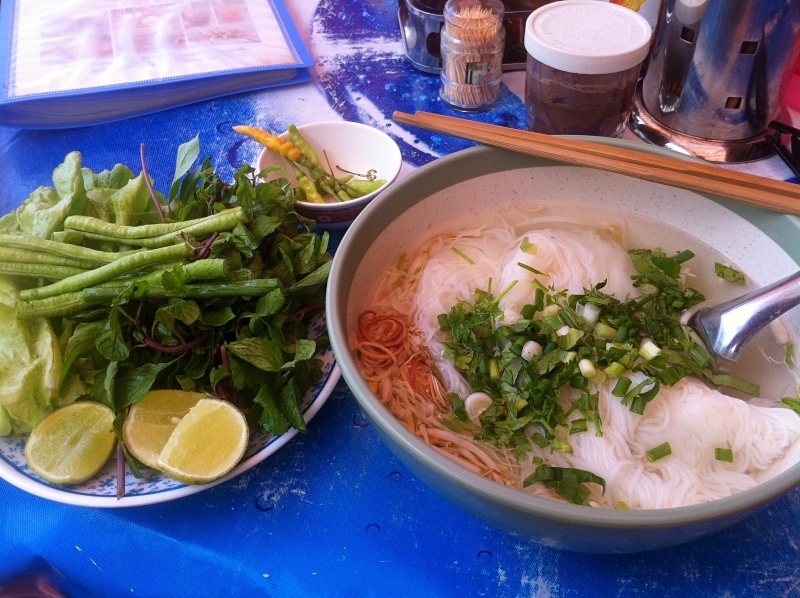 I did food tripping, trying different Lao food. Somtam, sticky rice, Lao rice noodles, laap, and balut (khai look). I rented a bicycle and explored the city. And to cap off my trip, I visited Pha That Luang, a stupa in Vientiane where it houses a little of Buddha’s bones. It’s one of the 8,400 stupas in the world that house Buddha’s remains. Finally, I flew from Vientiane to Bangkok then Bangkok to Beijing where I enjoyed Thai Airways' excellent service and amenities. After 16 days, I became tanner, experience-richer, wiser, and happier. It sure does cost some money-but meeting people, seeing new sites, bonding with friends and family, experiencing new things are far more important to me than spending it on material things. I’d do it again in a heartbeat if given the opportunity.